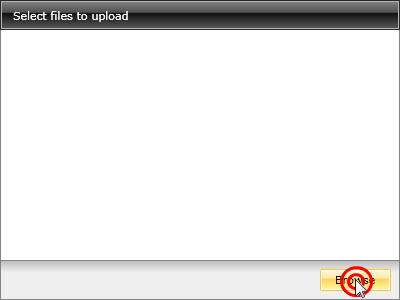 To select the files which the user want to upload, the "Browse" button has to be clicked. To remove items from the list the user has to click the delete button of the desired items. 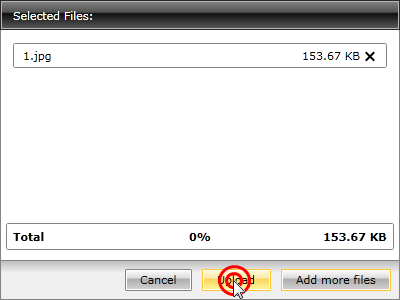 To add more files to the list the user has to click the "Add more files" button. 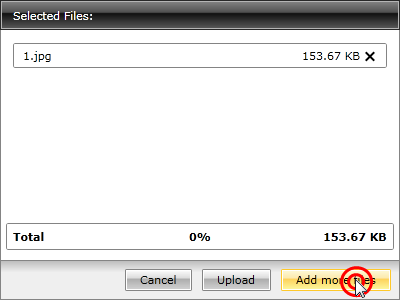 To upload the selected files the user has to click the "Upload" button. 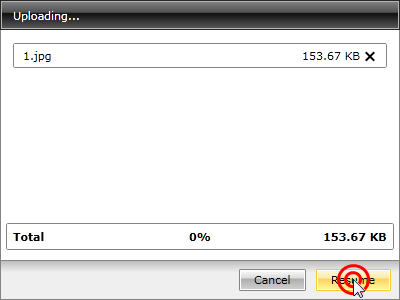 To cancel the upload the user has to click the "Cancel" button. 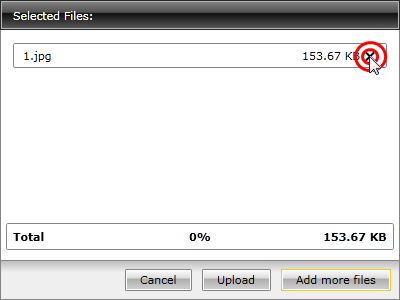 To pause the upload the user has to click the "Pause" button. To resume the upload the user has to click the "Resume" button.